Laserbeest is a laser cutting service in Delft, the Netherlands. With the help of a laser cutting machine, we can cut and engrave different materials. This includes wood, paper, cardboard and acrylic plastic. Our team of creative professionals is ready to answer your questions and produce your project. We have several machines with the standard laser cut production size of 900 x 600 mm and we can cut larger sheets on demand. Please download our templates and instructions to get your project started! Are you a student? Then you’ll get discount on your orders! More information on our student page (Google Translate). Please use our contact form or send us an e-mail first if you have already prepared your file. Our address: Abtswoudseweg 2a, 2627 AL Delft (the building is next to the Bo-Rent). Laserbeest is increasingly active on the international market due to our competitive prices. Do not hesitate to get in touch with us. 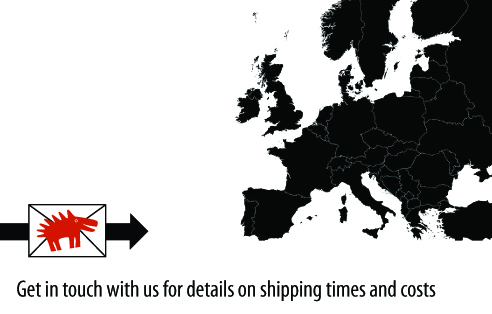 Click here for shipping costs to your country.